Today, when one thinks of weddings they don’t think of evil spirits. 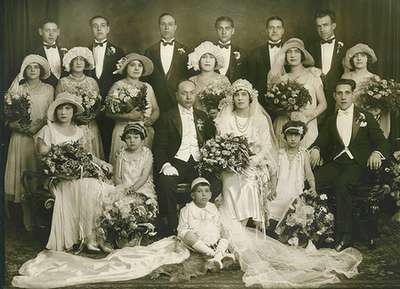 Weddings instead are seen as celebrations—happy events. But one wedding tradition still observed today came about because of an ancient Roman belief. 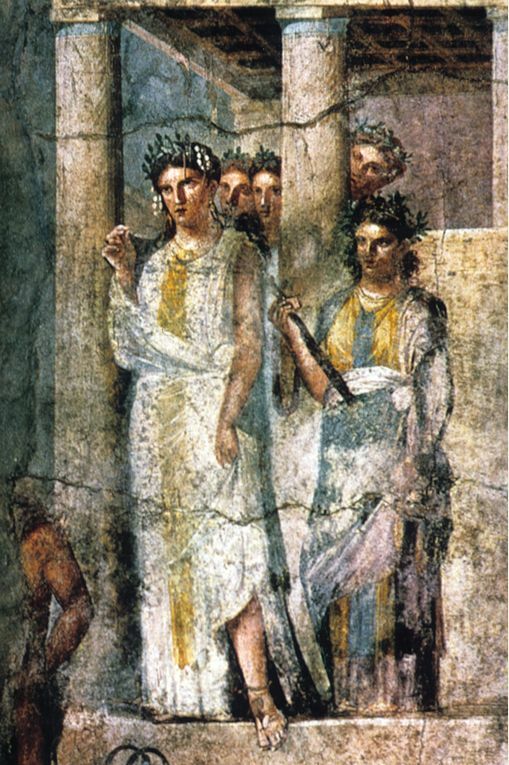 The Romans believed brides had to protect themselves from evil. They thought merriment attracted evil spirits—not to mention rejected grooms. So a tradition began during this time to assure the bride and groom were protected from demons and angry ex-boyfriends. All the females in the wedding party dressed the same as the bride. This was to confuse anyone or anything with ill will. It was a trick to keep the wedding couple safe—so they could get through their vows unhindered. This belief of demonic wedding crashers persisted well into the Victorian era when it finally petered out. 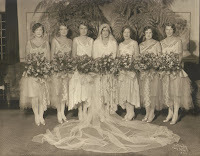 At this point brides began to dress more elaborately than the maids in their wedding parties. 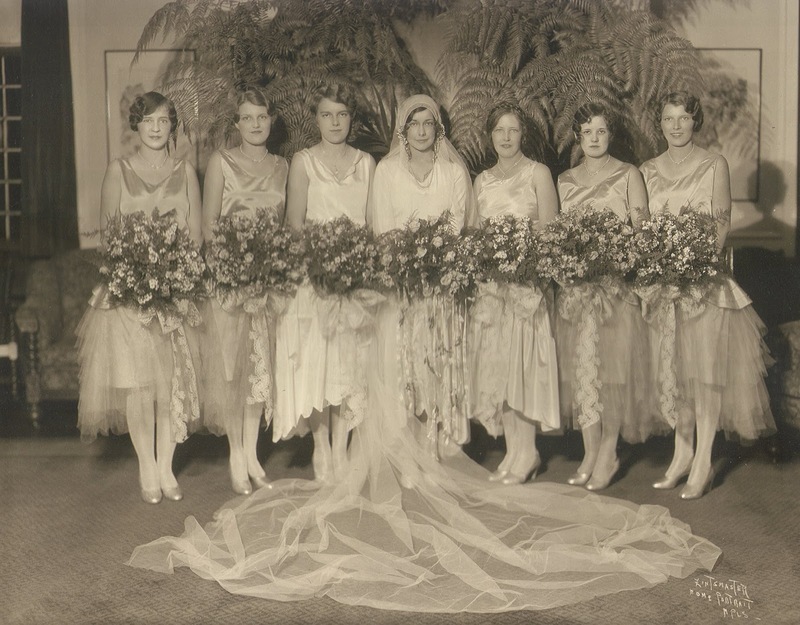 What lingers from this protective ritual is the fact bride maids still dress in matching dresses—most of them unflattering. 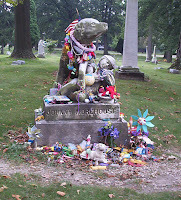 Many claim that Woodlawn Cemetery * in Dayton, Ohio is haunted. 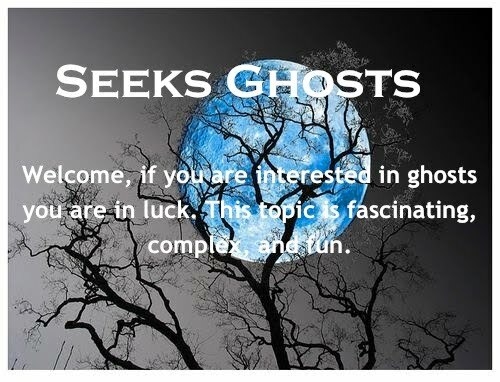 The most popular story is about the ghosts of a five year old boy and his dog. Like many ghost stories about young children this one is more charming than scary. 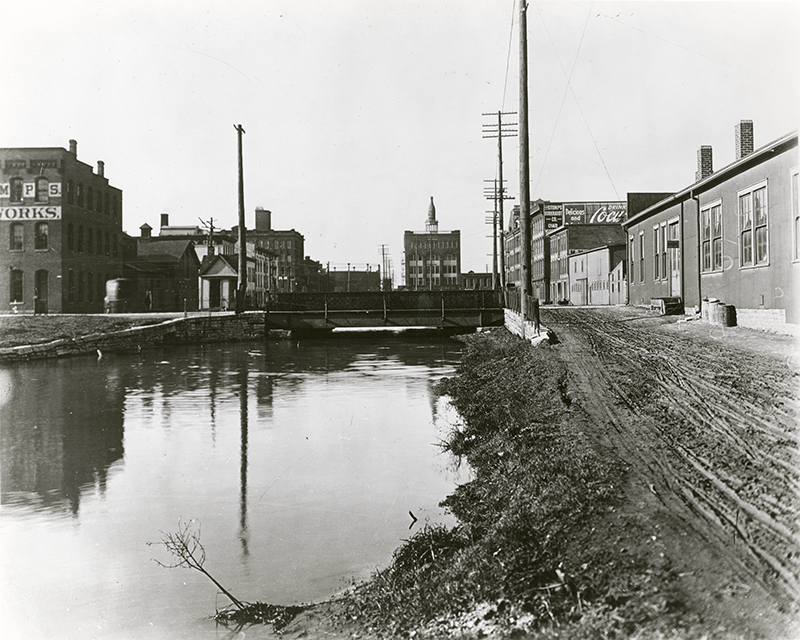 In the mid 1800s residents of Dayton used a series of man-made canals to transport goods and people. The Morehouse family lived in the back of their shoe-repair shop in downtown Dayton. Behind this shop ran the Miami and Erie canal. 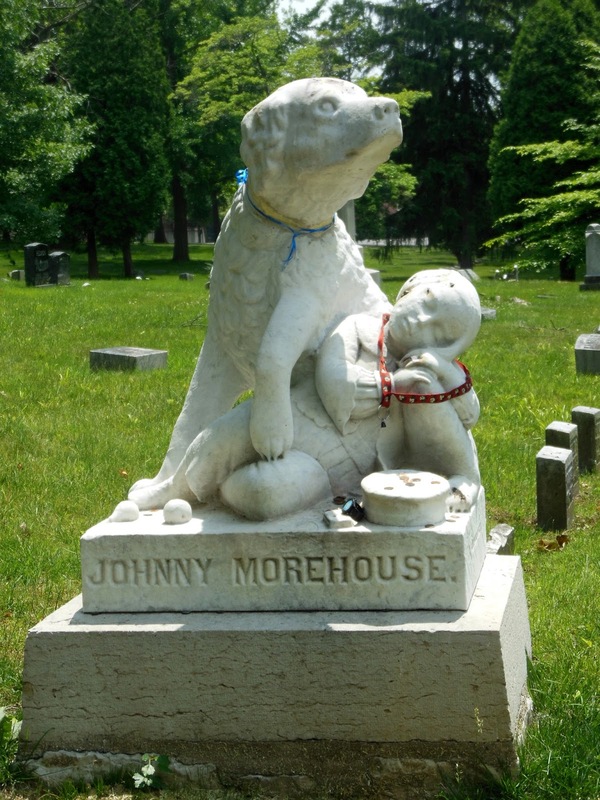 In August of 1860, the Morehouse’s youngest son Johnny was playing near the canal with his dog. The young boy lost his balance and fell into the water. His dog jumped in after him. He was able to pull his master out of the water but it was too late—Johnny had drowned. The Morehouse family buried Johnny at Woodlawn Cemetery. Within days of his funeral people began to see an unusual sight. Johnny’s dog was lying on his grave and would not leave. As the days passed people worried this dog would starve to death so they began to bring him food. Because of this dog’s faithful vigil a new headstone was carved for Johnny’s grave. It has “Johnny Morehouse” inscribed on the front and “Sweet Slumber” inscribed on one side. It depicts a large dog enfolding Johnny tenderly. Today, this gravesite is the most visited in the cemetery. People leave offerings of coins, stuffed animals, various toys and food—in fond remembrance of this child and his devoted companion. For three months in 2008 a rumor was spread that the gravestone was vandalized. These stories were false. The head on the statue of the dog did disappear –the reason for this was with age it had fallen off. It was repaired and placed back on the statue. 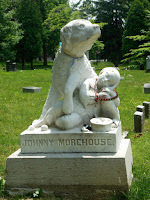 Over the years, witnesses have claimed to see the ghosts of Johnny and his dog throughout the cemetery. They are seen running and playing together. Many have heard the sounds of Johnny’s laughter as his dog barks. Most interesting are the reports that people have seen what appears to be the statue of the dog breathing. Some have put their hands directly under the dog’s stone nostrils and felt these breaths. * Woodlawn is the 5th oldest garden cemetery in the U.S. Orville and Wilbur Wright are buried here as well as Erma Bombeck.